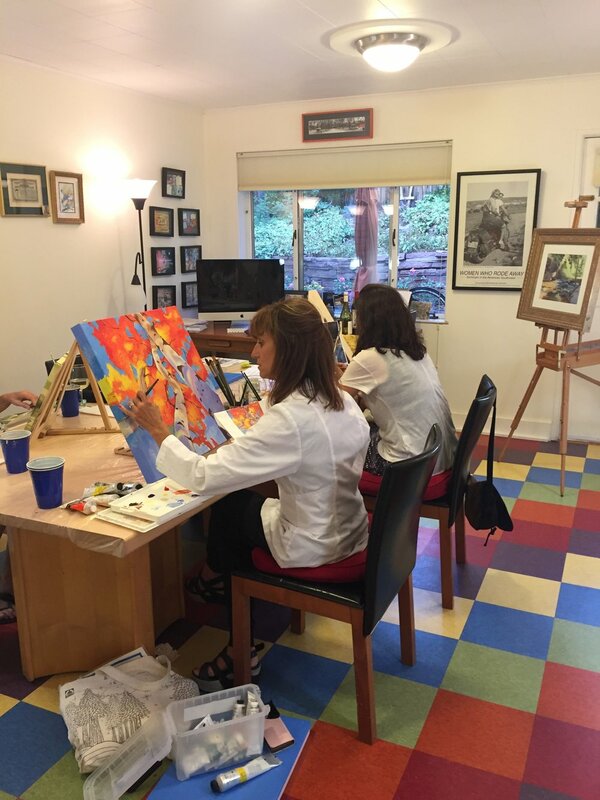 I offer painting classes and mentorships to interested artists of all levels - including beginners! We begin each class with a brief group discussion/demonstration based on student needs and requests. The majority of each class will be devoted to your independent paintings. I assist individual students throughout the class. You will find unlimited ideas and inspiration from your fellow students too. Acrylic or water-based oil paints are recommended. If you are interested in private classes, I offer a mentorship program tailored to your specific artistic goals. Students paint independently and meet with me on a consistent schedule for feedback and direction. Please contact me at jmgartland@icloud.com for more information.